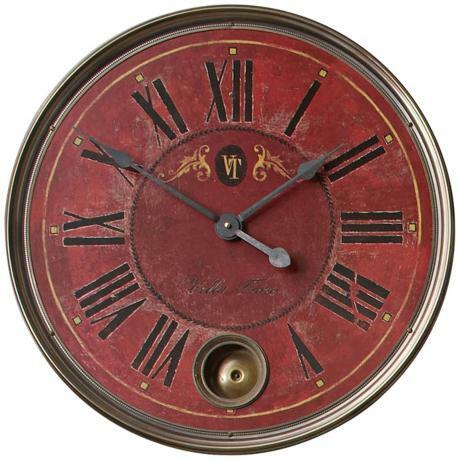 Villa Tesio 23" Wall Clock from Utttermost clock is charming and elegant with an internal pendulum, this beautifully hand crafted Timeworks clock takes us back to old Italy, with it's rich brick red face and black Roman numerals, black hands with cast brass ring and charming accents. This wall clock timepiece is a best seller. One AA battery, not included.